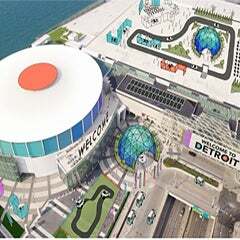 DETROIT December 13, 2012 -- Thom Connors, regional vice president and general manager of Cobo Center/SMG announced the reopening of the Cobo Center Washington Blvd. Garage, making a total of 2000 spaces available on site at Cobo. Following extensive renovations, the Washington Blvd. and Congress St. garages feature bright, energy efficient, induction lighting, along with increased security patrols and an upgraded security camera network. 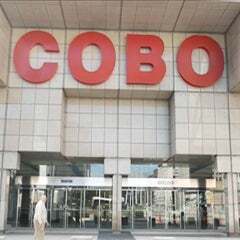 In mid 2014, the Cobo Center Atwater Street Garage will reopen with all the same safety and security features. “We think the efficiency and security of this system will translate to time and money savings for future operations, and greater comfort and peace of mind for our monthly parkers and visitors,” said Connors. 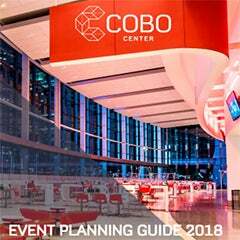 The $299 million Cobo Center renovation began in 2009 with the formation of the Detroit Regional Convention Facility Authority. Renovation and upgrades to the parking garages are part of Phase III of the three-phase project scheduled for completion in early 2015.